This district, which President Kalam visits on June 15, has a higher concentration of families of farmers who killed themselves than most others in the country. “THE BANK recovery teams have stopped coming to my home,” Saraswati Amberwar told us in Yavatmal. She lives not far from where President A.P.J. Abdul Kalam will visit on June 15. Her husband Ramdas was the first farm suicide case in Vidharbha to be highlighted in the media, way back in 1998. Since then she has faced years of pressure from his creditors to repay his loans. So it was surprising that the bank recovery men had let up. 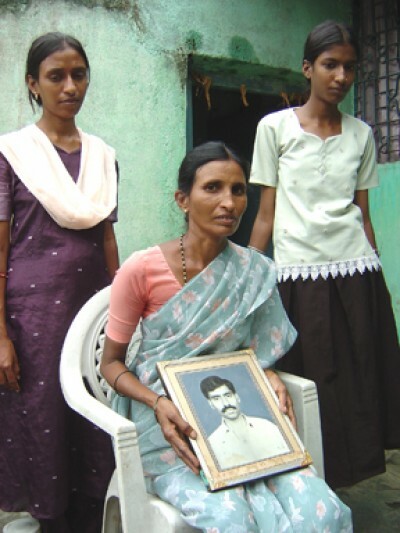 “Kishor Bhau gave me a letter which I showed them the last time they were here,” she says. “After that, they stopped coming.” Even stranger. Kishor Tiwari is the president of the Vidharbha Jan Andolan Samiti (VJAS) and the region’s foremost agitator on farm issues. Hardly a friend of the banks, given the countless times he has gheraoed and badgered them on farm loan problems. So what did his letter say? Roughly translated, it read: “Dear Recovery Officers, Ramdas has appeared before me more than once from Heaven. He says: `I have the money and am waiting to repay you.’ Please rush your team to Heaven. Yours sincerely, Kishor Tiwari.” After that, says Saraswati, the team never showed up again. Mr. Tiwari’s open letter this week to President Kalam is more polite. It begs him to “spare a few minutes to meet the unfortunate widows of farmers either at Yavatmal or Wardha.” Those and Nagpur are the places the President will touch during his day-long visit. His trip takes him to an event at Amolakchand College in Yavatmal. Also to the Mahatma Gandhi Hindi International University in Wardha. It does not so far include any agrarian distress-related meetings. Yavatmal, where the President’s main function is, remains one of the most dismal parts of Vidharbha, the region hardest hit by the farm crisis. “This year alone, there have been 428 farmers’ suicides in Vidharbha,” points out Mr. Tiwari. “Unless urgent action is taken on cotton price, on debt and credit — it will be our worst year ever.” And that would be something. The Government officially admits to 1,296 farm suicides due to the “agrarian distress” last year. It records a further 1,348 farm suicides in the same six districts the same year, but denies they were due to agrarian distress. Yavatmal is one of six districts in this region that together have seen more than 6,000 farm suicides since 2001. Saraswati is among more than 100,000 women across the country who have lost their husbands to suicides driven by the agrarian crisis since the mid-1990s. There are hundreds like her in Yavatmal alone. But her home has seen many VIP visits over the years, including that of Narayan Rane when he was Revenue Minister in the Shiv Sena Government. The compensation of Rs.1 lakh she got was long ago wiped out by debt. “We’re spending Rs.30,000 on my daughter Meenakshi’s illness,” she says. (Another daughter died in 2004.) “We’ve sold off several acres and some cattle over these years to cope. But farming gets costlier and more difficult.” Yet she sees few options and keeps at it, hoping things will turn around. 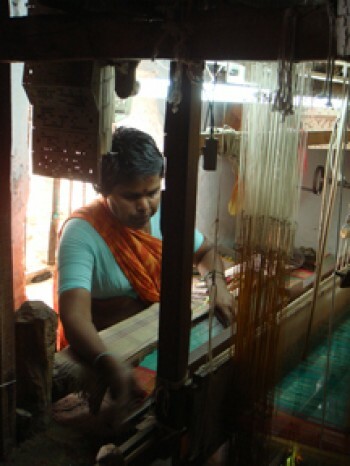 In Pisgaon village of the same district Varsha Rasse grabs any work she gets, no matter how poorly paid it is. For two seasons her husband Maruti had leased out their eight acres — throwing in his own labour as part of the deal. “He had to get his sisters married,” neighbours told us, “and farming was collapsing.” Then, with his own cultivation hit by excessive rains, Rasse committed suicide in 2004. His debt remains a problem for Varsha and their son and daughter are both under five years of age. Meanwhile, she’s trying to run things from the Rs.25 a full day’s labour now fetches her.